Wednesday night was a lively dance party at Summit Music Hall. Culture Crew started off the night. They are an acoustic soul pop band who emphasizes unity and UBUNTU – I am because you are. Sam Schultz is a singer/songwriter from Southern California. Aaron Watene is also a singer/songwriter, and he used to write songs for the Nickelodeon children’s show “Yo Gabba Gabba.” He also was in the Jets in the '80s. 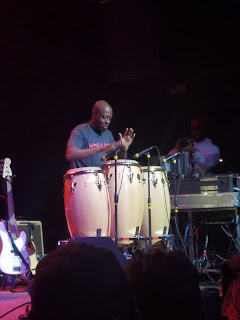 Their band consisted of multiple singers, a bass player, a drummer, a keyboardist, and a bongo player! They sang some of their own music, but they performed mostly covers. 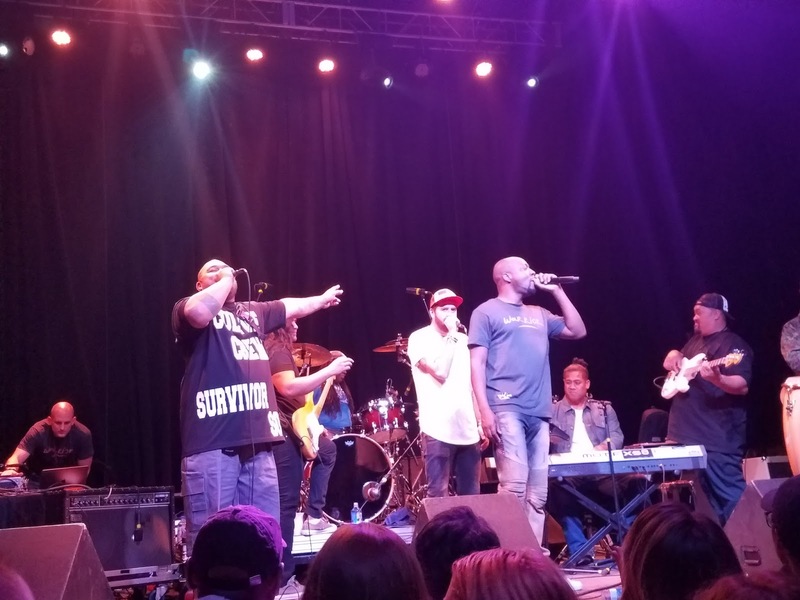 They played a lot of Bob Marley songs, their biggest influence, including “Three Little Birds.” They had the audience smiling and dancing because everyone knew the words to these songs! Wyclef Jean came on after only fifteen minutes. Wyclef is known for his solo work, his band the Fugees, and writing songs for artists such as Santana and Shakira. Everyone was so excited! He announced that tonight was going to be a '90s dance party. Wyclef came out to the stage with a white, studded jacket. He definitely stood out, but he instantly took it off because he knew he was going to be dancing! He started out with “Ready or Not,” which is a pretty perfect song to start to. Wyclef is playing whether we are ready or not! Most people were ready. 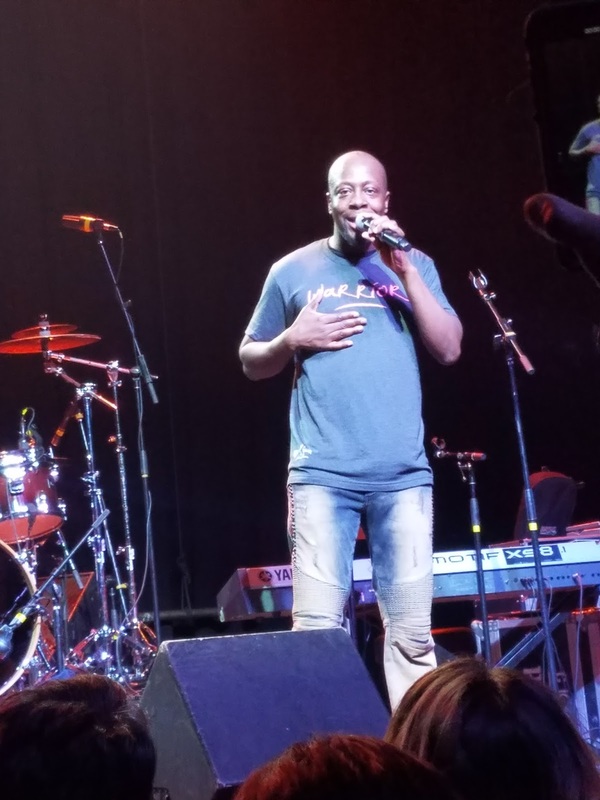 After his first song, Wyclef explained his work in Haiti. He spent the past few years giving back to Haiti. He tried to become the president there! Then he explained his number one influence was Bob Marley, and he played “No Woman, No Cry.” After this, he thanked his mother for replacing the gun in his hands with a guitar when he was young. Then he played “911,” while singing and playing the electric guitar. He wowed the audience when he played the guitar behind his head, but he stole the show when he played the guitar with his mouth! Thank you to his mother, indeed! Wyclef made sure the audience knew the reason he was going to play so many other peoples’ songs was because he actually wrote them! He played Santana’s “Maria, Maria,” after telling us he produced and co-wrote the song. He also made sure the crowd was dancing all night. He said, “If you’re not dancing, get out of the club!” He performed, “Sway,” and made sure everyone was swaying before going into a freestyle. He freestyled in English then in Spanish, and then when we thought he was done, he freestyled in French. Everyone was very impressed! 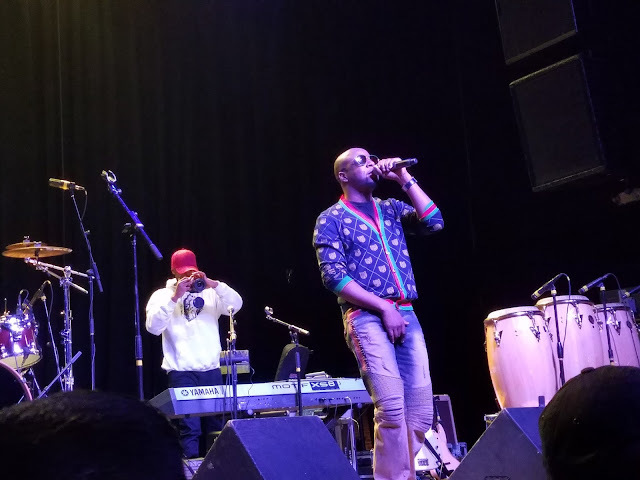 Wyclef introduced his new song “Sa Kap Fet.” “Sa Kap Fet” means “What’s Up?” in Creole. He told the audience this song was going to be the hit of this upcoming summer, and he told us he was going to make a music video right now. He said everyone needs to “Turn Up” when the chorus comes on. He sang the intro and then started the chorus, but he stopped the song because he said people weren’t dancing hard enough. He demonstrated the jumps he wanted to see, then started the song again. Wyclef’s personal photographer videotaped the audience for the music video. Wyclef called out a male in the audience because he said he liked his '90s style, and he said he needed to be in the video. The audience member got pulled up onto the stage over the barricade, and the photographer went back and forth from videotaping him and the audience. What an honor! For the encore, he brought up Culture Crew again and they played four covers. When there was three minutes left in the show, Wyclef wanted to end the '90s dance party right. He had the audience jump around to “Jump Around” and thanked everyone for the night. Wyclef has a lot of confidence, and he backs it up with his wide array of talents, musical taste, and knowledge. The show was an absolute treat and so much fun, but it was obvious the audience never wanted it to end!